There is no need to hurry if one has arrived at the space in time where inspiration and music dissolve into a boundless cascade of emotion. 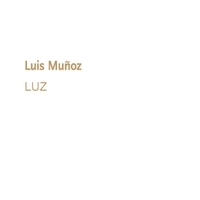 Multi-talented Luis Munoz, has channeled his production skills into a sublime direction on Voz, collaborating with a trio of premier vocalists, augmented by an attuned supporting cast. Though Muñoz contributes his drumming and composing skills, it his sense of trust in others that makes this a special project. Initiating what is a Latin-American oriented production, Mexican vocalist Magos Herrera has the honor to start the record off on a passionate note with "Preludio Y Fin," penned as an introspective ode to music or life. The exquisite trumpet work of Jonathan Dane on this track certainly deserves recognition and praise. Herrera is also featured on "Argentina," a poignant tribute to Muñoz's departed aunt, and interprets the swaying bolero "Testamento/Mas Alla." She is accompanied solely by the piano of Adam Asarnow on "Amanecer Luminoso," where her phrasing and nuances give proof as to why she is simply one of the best vocalists out there. Hailing from Brazil, Téka Penteriche is invited to vocalize on "Manantial," a dreamy yet rhythmic number, and goes back to her roots on the nimble samba "Pasion." It is a rare treat to have two outstanding singers on one song, which is the case when Penteriche joins Chilean songstress Claudia Acuna for the duet "Quisiera," a tragic tale of lost love, which hangs on the memory like an ancient song in a sad city. 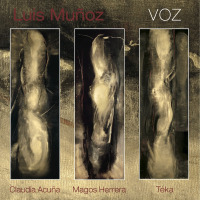 Much of the core group on the record have been with Muñoz since his 2013 release "Luz," which accounts for the cohesion in the instrumentals "Journey Of Saint Augustine,"done in a trio format with Dane on trumpet, bassist Brendan Statom, and Daniel Zimmerman on acoustic guitarand "Amarilis," a haunting tango with Muñoz on melodica joining the trio. 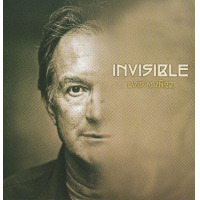 The ability to perform such a sensitive music intertwined with jazz, obviously comes from time together and in Muñoz's intent to cast a wide net, confident in that the end justifies his faith in his accompanists. Voz is relaxed, yet restless, exuding strong romantic overtones combined with an illuminating philosophical undercurrent of sentiments and secrets of the heart. 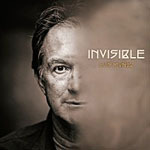 Track Listing: Preludio Y Fin; Manatial; Argentina; Journey Of Saint Augustine; Pasión; Testamento/Mas Alla; Amarilis; Quisiera; Amamecer Luminoso. 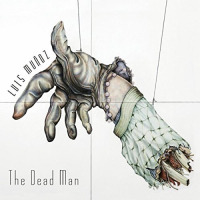 Personnel: Luis Muñoz: drums, percussion, keyboard, melodica; Jonathan Dane: trumpet, flugelhorn; Brendan Statom: acoustic bass; Magos Herrera: lead vocals (1, 3, 6, 9); Ramses Araya: bongo, congas (2); Tom Etchart: electric bass (2) acoustic bass (6); Ron Kalina: chromatic harmonica (2, 5); Lois Mahalia: vocals (2); Téka Penteriche: lead vocals (2, 5, 8); Narciso Sotomayor: electric guitar (2); Andy Zuñiga: vocals (2); Adam Asarnow: piano (3, 5, 9); Daniel Zimmerman: acoustic guitar (4, 7); Jana Anderson: vocals; Chris Judge: acoustic guitar (5, 6, 8); Victor Marten: vocals; Randy Tico: bass (5); Kevin Winard: percussion (5); George Friedenthal: piano (6); Claudia Acuña: lead vocal (8).